It’s true. 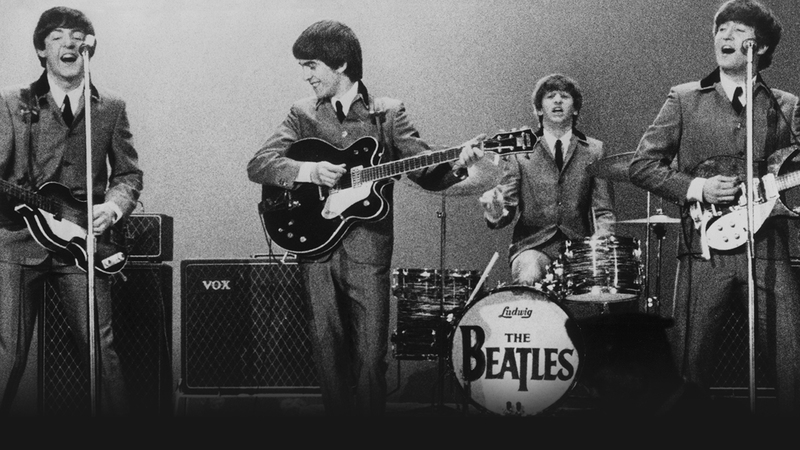 The Beatle buttocks were essential to this historical show that took place on this day in 1965. Find out why. Last year's Beatles documentary, Eight Days A Week: The Touring Years, had some amazing tales from the Fab Four’s days on the road, from their early days playing small clubs in Liverpool and Hamburg to their incredible world tours. But there’s one show that stands head and shoulders above the rest: Shea Stadium in New York, on 15 August 1965. The first, proper, big stadium show for a mere “pop group”, the Beatles played to 55,600 fans at the home of the New York Mets baseball team. Unsurprisingly, the sound of 50,000 screaming girls overwhelmed the primitive amplification system of Shea Stadium - so the Fab Four couldn’t hear themselves think, never mind the music they were playing. But Ringo, sat at the back without any onstage monitors, had a solution - bum power. “I’d be watching John’s arse… or Paul’s arse,” he explains in the film. Amazingly, they pulled it off. Their half hour set featuring songs like Twist And Shout and Help! was caught on film.